The sun is peeking out now, thankfully, but yesterday and this morning were overcast, chilly and damp in the Delaware Valley. Yet it was warm and sunny inside my den thanks to two finds at HHH Records in Hatboro, which has fast become my favorite store: Lone Justice’s stupendous debut, which I’ve written about many times, and the Pretenders’ Extended Play, a five-song set that I mention in this flashback to November 1981. There’s something to be said for brevity, in only the crème de la crème making the lacquer cut. Extended Play, which was released in March 1981, is a great example. 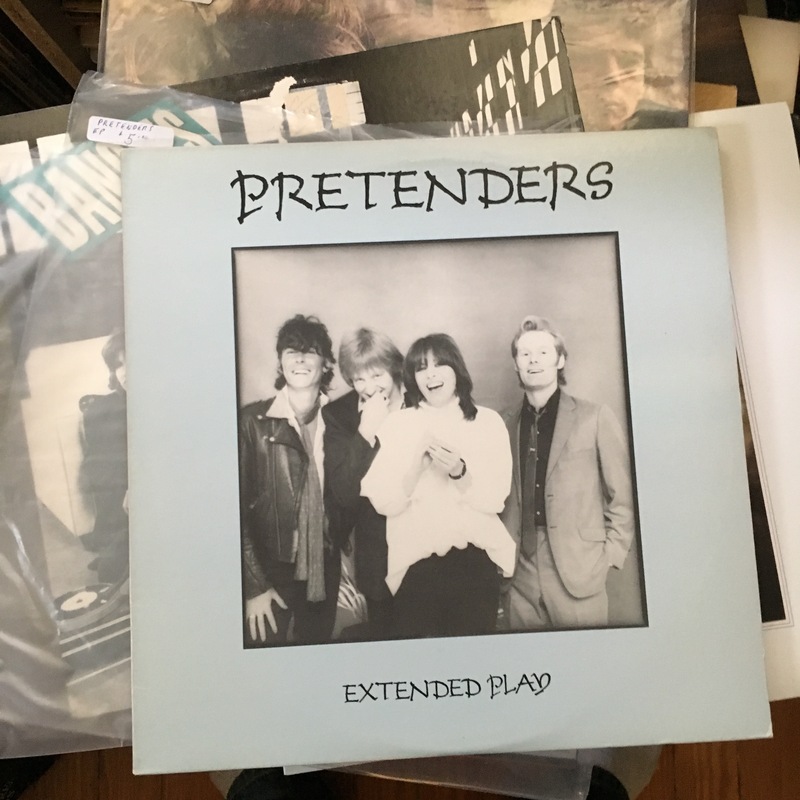 It includes two tracks, “Message of Love” and “Talk of the Town,” that were included on Pretenders II, which came out five months later, plus two previously unreleased tracks – “Porcelain,” “Cuban Slide” – and a live rendition of “Precious” that’s even better than the studio track. I owned the EP back in the day, and much preferred it to II, but somewhere along the way parted company with it – not because of the music, but the format. I traded many LPs for cash in the months prior to Diane and I moving in together in 1990. 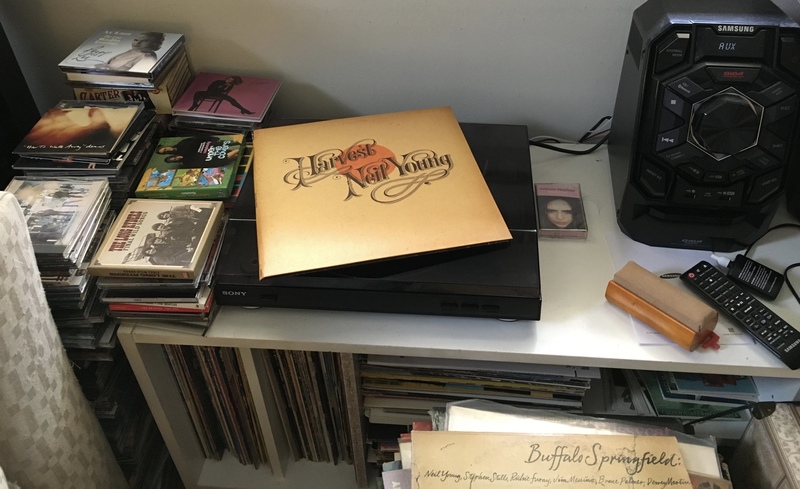 One LP that I did not get rid of: the 1973 Buffalo Springfield double-LP compilation, which brings together the essential tracks from the influential group’s three studio LPs. It’s also the only legitimate home to the nine-minute version of “Bluebird,” a track that features (according to the liner notes on Buffalo Springfield Again) 11,386 guitars. I listened to Side 2 (“Mr. Soul,” “Bluebird,” “Broken Arrow” and “Rock and Roll Woman”) last night, and followed it with Side 1 of a future Essentials pick – Neil Young’s Harvest. I owned it on vinyl back in the day, but – as with Extended Play – let it slip away. Then, for my birthday this year, a friend and her kids gave me the 180-gram LP. “Out on the Weekend,” the first track, is one of my favorites from it; and here’s Neil in March 1971 performing the song on Live on the BBC about a year before the album’s release. Over at the Hideaway, Herc is counting down his Top 100 singles for 1977 – a thoroughly enjoyable read that mixes the personal with the profound. While countdowns collated from countless contributors, such as NPR’s 150 Greatest Albums Made by Women or Rolling Stone’s 500 Greatest Songs of All Time, are fun (if infuriating) to read, the synopses of the individual works often miss the raison d’être for why they’re important – the backstory matters not, nor does technical precision. No, I’d argue that it’s the personal connection the music makes with listeners. Wings Over America, which was released in December 1976, came with a way-cool poster that I quickly tacked up on my bedroom wall three years later, which is when I remember receiving the expensive three-LP set as a Christmas gift. The mercurial Jimmy McCulloch (1953-79) handles the guitar solos with aplomb; listening to them just now via the above YouTube clip sent shivers up my spine. 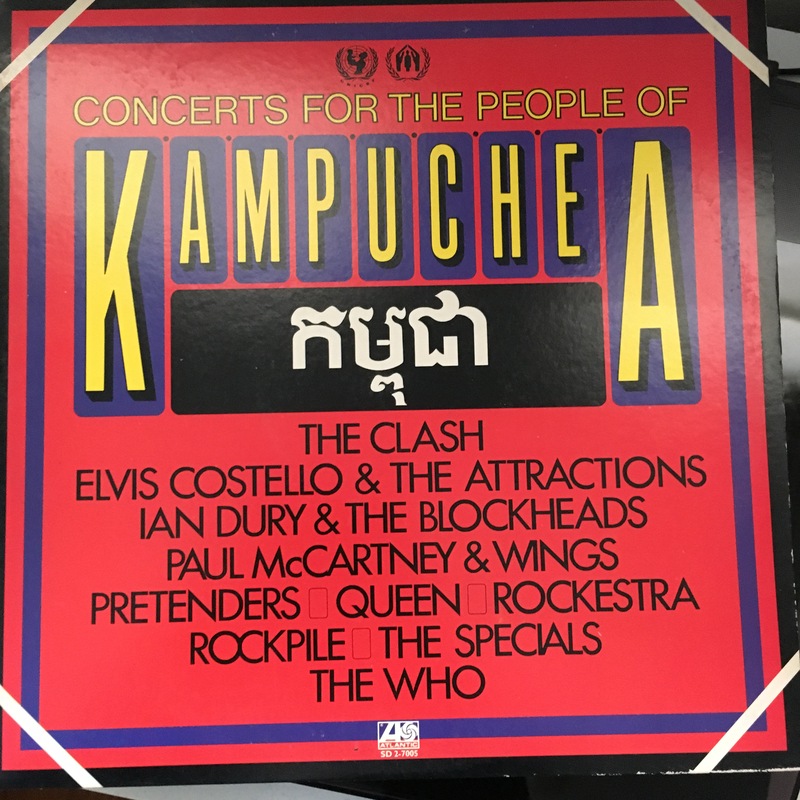 Here’s another LP I’ve kept with me through the ages: the double-LP Concerts for the People of Kampuchea. Taken from a series of benefit concerts held at the Hammersmith Odeon in London during the last week of 1979, but not released until March 1981, it features a who’s who of then-popular British acts – both well-established (The Who, Wings) and new/relatively new (The Clash, Elvis Costello, Pretenders). A little more than five years ago, on an October eve, Diane and I ventured to the World Cafe Live Upstairs in Philly to see a British singer who had yet to release an album in the U.S. – Rumer. At most, 50 folks were in attendance; and half of them, I think, were there for dinner and drinks, not the show. As I wrote in my first post to the Hatboro-Horsham Patch (since relocated to this blog), only a smattering – including us – were already familiar with her music. 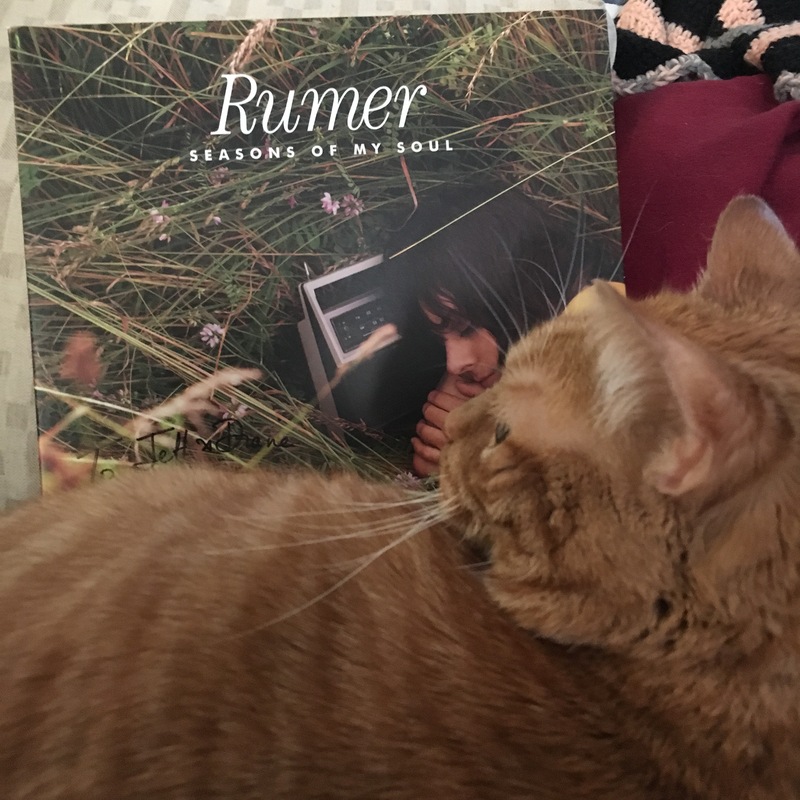 Afterwards, Rumer stuck around to sell merchandise and meet the fans… and, despite not having a working turntable, I bought (for $10 or 15) her debut LP, Seasons of My Soul, which I’d had on CD since the previous fall. We talked a bit, as not everyone stuck around. She was exceptionally nice and gracious (as she has been the other two times we’ve met). 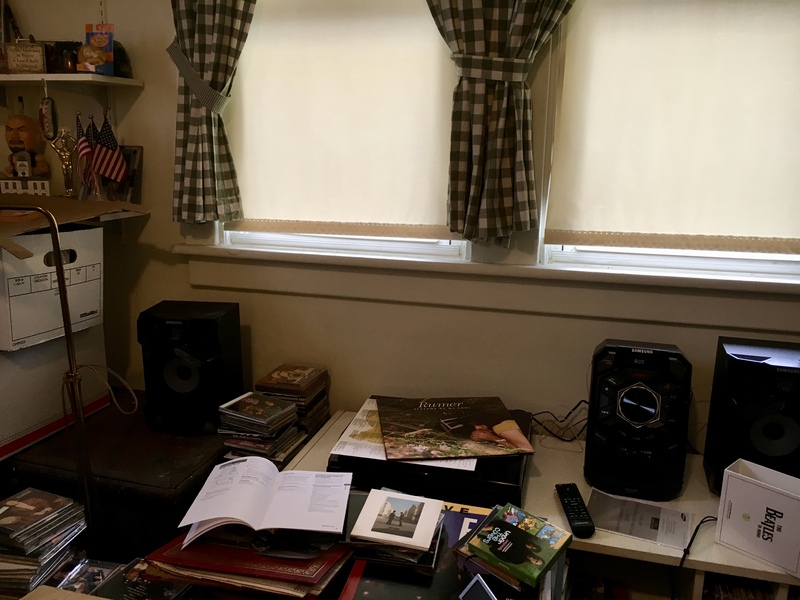 Back on point: Today, I listened to Seasons of My Soul the way nature intended – analog. 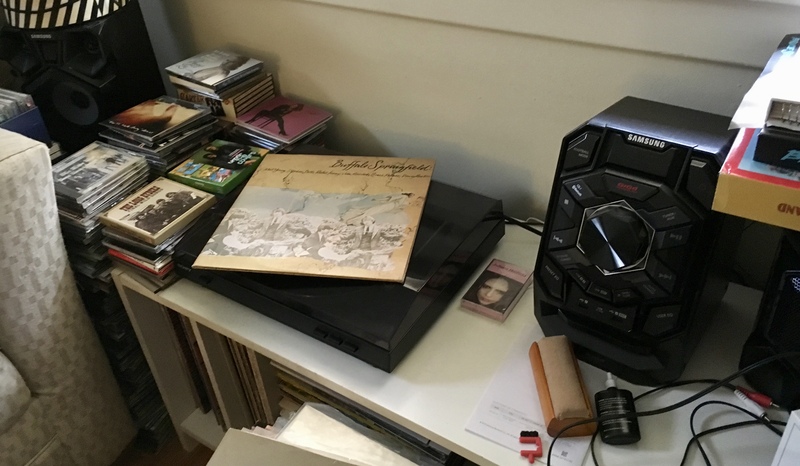 In my case, that means via a Sony turntable connected to a Samsung shelf-stereo system that I picked up, for free, through my job earlier this month. The sound is good. Great? Probably no better than the CD, given that the system isn’t top-end, but that’s okay. It’s cool to slip a vinyl disc from its sleeve, drop onto the turntable and let the music wash over you. Like days gone by. Even my wooly bully of a feline, Tyler the Love Cat, enjoys it.